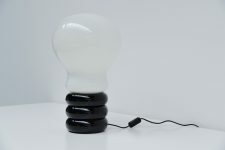 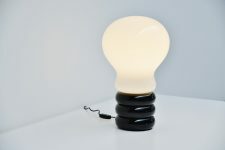 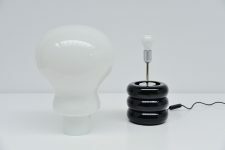 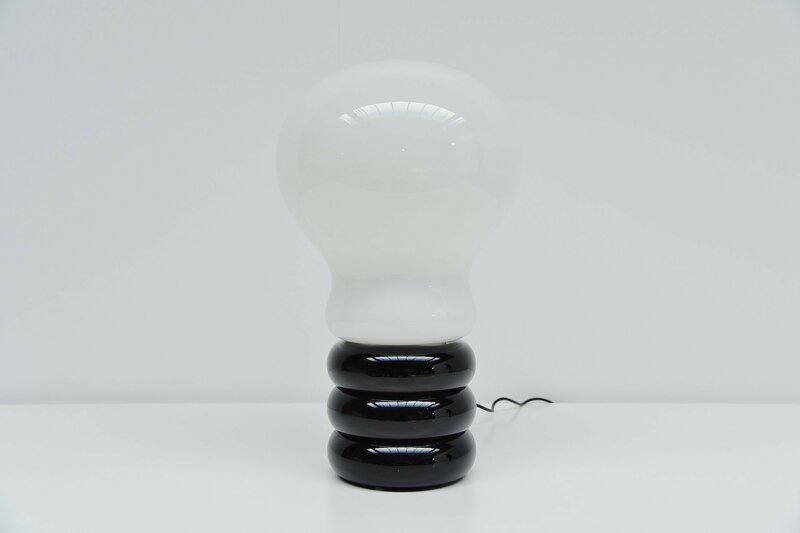 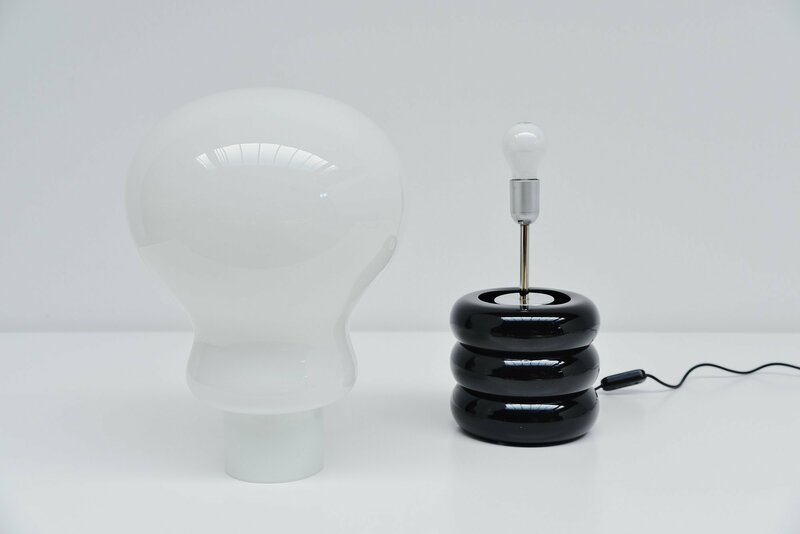 Rare early and large version of the Bulb lamp designed by Ingo Maurer, manufactured by M-Design Germany 1966. 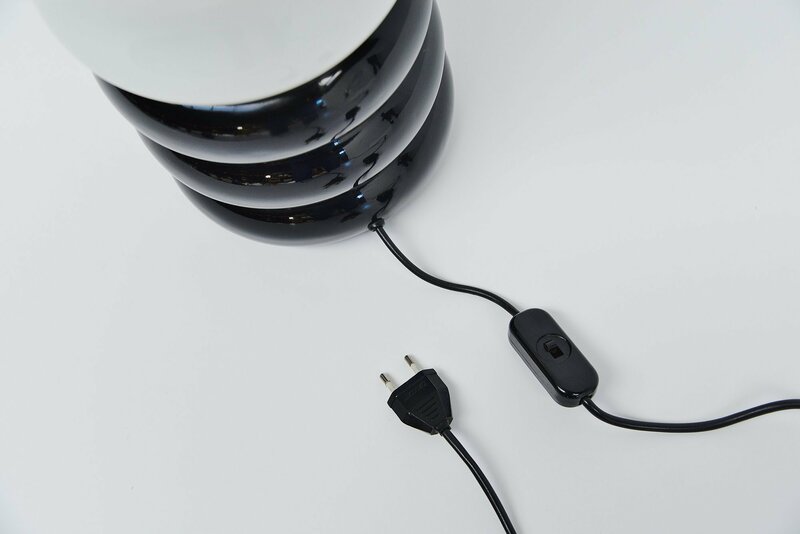 This lamp has a black painted aluminum base and a white opaline glass shade. This lamp is from the first production and is in very good condition. Only some minor marks to the base. Gives very nice warm light when lit and uses a E27 bulb up to 100 watt.